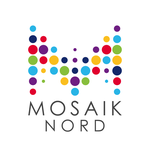 We are a protestant church and part of the MosaikChurch Network in the Frankfurt-Rhine-Main area. We are members of Chrischona, a protestant umbrella organization, as well as the Evangelical Alliance Frankfurt. Our weekly worship services meet in Eschersheim and our ministry center is located in Heddernheim.